Pesach at The Four Seasons Resort, Whistler, B.C. 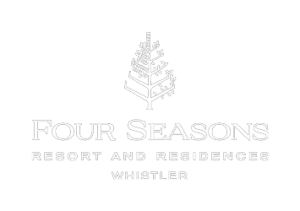 The Four Seasons Resort Whistler is the epitome of luxury and has won awards including AAA Five-Diamond, Trip Advisor Traveller’s Choice and Forbes Travel Guide 5 Star Rating. Enjoy all the amenities that North America’s No. 1 Ski Resort has to offer. To make it even easier for you, the Ski Concierge building is located at the base of Blackcomb Mountain. For Pesach, Chef Eren and his team prepare an exclusive Kosher for Pesach menu so you can enjoy fine dining for breakfast, lunch, and dinner. All food and dining is under the supervision OK Kosher. Whistler Blackcomb is North America’s premier skiing destination. This year, join us for Pesach during peak ski season. For the third consecutive year, the SKI Magazine Resort Survey has named Whistler Blackcomb as the No. 1 Overall Ski Resort in North America. Whistler Blackcomb has held this title four times in the last five years. Whether you’re an avid skier or looking for adult or child lessons, we promise that there’s a way for you to enjoy the slopes. Ask us about ski lessons or equipment rental too. Follow @pesachonthemountain on Instagram for the latest photos.